The THERMOCEPS™ is a new patented,disposable, lithium-polymer battery powered,cordless, surgical cautery forceps featuring a pair of unique new ceramic material heaters composed of Silicon Nitride (Si3N4). Closing the pair of heaters affixed to the tip of the forceps seal & divide blood vessels or tissue using pressure & heat. This surgical instrument operates without a high-cost Electro-Cautery Base Generator Unit or complications and risks known to result from all RadioFrequency(RF) electro-cautery systems. THERMOCEPS™ eliminates all non-reimbursed facility capitalization costs, software updates, replacement costs and recurring biomedical testing, as a sealed battery cell powers this new device. The patented, breakthrough THERMOCEPS™ reduces the cost of surgical care, as no heavy, expensive Electro-Cautery Generator Unitis required to operate the non-tethered cautery device. The imbedded temperature thermistors sealed within each tweezers’ tine, the THERMOCEPS™ guarantees precise low-temperature coagulation cautery,limiting damaging lateral heating effects common with RF, reducing unwanted smoke and eliminating flame formation. As all battery connections and heater electronics are contained and sealed the inherent spark-gap and exposed high voltage current complications associated with RF devices is a thing of the past. The sealed electrical circuitry of the THERMOCEPS™ eliminates all risks associated with open electrical current flows of RF cautery. 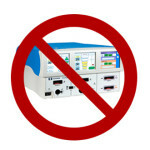 Electro-surgical systems used to provide cautery and hemostasis during surgical procedures in our present provider structure requires the end-user; the hospital, surgery center or emergency facility to purchase the expensive bulky, Electro-Cautery Generator Units.In the present financial structure, all the cautery costs are carried by the facility providers for all RF cautery and these high costs are not currently reimbursed by the patients or third party payers. Unlike all current cautery devices the new technology in only the THERMOCEPS™ provides heating using a patented, completely electrically isolated, instant-ON-Action and precisely focused heating to seal is initiated. The ability to seal bleeding vessels without sending any electrical current or electricity through the patient’s body is a true break-through in surgery quality. The result is a faster, safer, more focused,energy delivery system with cost savings solving the problems inherent with the old systems of radio-frequency or RF electro-cautery. The THERMOCEPS™ device has applications in all specialties of surgical care, including General, Cardiovascular, Orthopedic, Neurosurgical, Gynecologic, ENT and Urologicsurgery. THERMOCEPS™ is the first disposable battery powered, cordless, thermal cautery forceps device capable of sealing all vessel diameters of bleeding vessels using a simple one-step process. Unlike all RF cautery systems having a 7mm maximum vessel diameter barrier, the THERMOCEPS™ is constructed to break though this maximum size limitation and seal vessels of all sizes; from the microscopic to the largest arteries and veins in the human body.This is the only cautery technology offering the surgeon a single step process to seal and divide all vessel diameters. This new thermal ceramic forceps seals the extremely small vessels in the sclera of the eye or the micro-fine blood vessels found within the mucosa of the minimally invasive endoscopic surgical procedures. The broad coverage enabled with the IP portfolio of patents awarded to the THERMOCEPS™ allows protection for the manufacture of the full range of cautery forceps for all vessels encountered by a surgeon. An additional advantage of the THERMOCEPS™ is the ability to have a dual purposed surgical instrument combining a standard vascular pick-up with an effective non-stick cautery tool, saving valuable surgical time. The dual use function and INSTANT-ON technology decreases operative time, saving money while enhancing safety. Unlike all other “enhanced” or conventional RF surgical electro-cautery methods,including the Argon Beam RF systems (water assisted plasma-based Cobalization™) NO electrical current flows through any patient tissue, nor is the patient ever exposed to open electrical energy. The THERMOCEPS™ also eliminates all electrical interference to vital monitoring devices, such as the ECG or EMG units. As the THERMOCEPS™ is cordless and uses state-of-the-art internal lithium polymer batteries all unnecessary old RF technology connections, wires and grounding cables & pads are eliminated from the operating table, allowing the surgeon an unimpeded view of the surgical field and relief from tangled cords without the recurring problem of instruments falling out of the sterile field and onto the floor as the result of cautery device wire tethering. In addition, the ability of the surgeon to control and steer thermal energy results in greater surgical precision and less adjacent lateral thermal spread,allowing the THERMOCEPS™ to be used near nerves and temperature sensitive tissues and organs. The hospital or surgery center capitalization costs for the hardware generator base or ESU units with their associated on going biomedical maintenance costs and depreciation are eliminated.Precise measurement of vessel seal site temperature is easy with the integrated SMT electrical thermistors sealed within the active heating tine thermal tips allowing, for the first time, continuous monitoring of the cautery coagulation temperature to assure maximum sealing while preventing adjacent tissue thermal injury and undesired smoke formation. Smoke, exposed flames and uneven thermal heating are all effects inherent in all RF systems; problems eliminated with THERMOCEPS™. This new technology allows the surgical provider facility to be reimbursed for the full cautery costs directly from the patient or 3rd party payers on a case-by-case basis. No hardware capitalization costs means each patient will be billed for all services provided by the facility providing safe hemostasis and complete surgical cautery services. This new dynamic billing solution completely eliminates all capital hardware and associated indirect costs currently now carried by all operating room and ER care facilities. Surgeons will prefer this cautery solution as it decreases operative time and removes RF limitations and complications. The THERMOCEPS™ saves operating rooms costs by ending non-reimbursed hardware capitalization costs associated with all current RF cautery devices. In summary, the new THERMOCEPS™ can replace RF cautery at a lower price, with increased safety, allow sealing of all vessel sizes using the newest one-step process which does not require the forceps locking as with current bi-polar RF hand-pieces. In addition, as the THERMOCEPS™ qualifies as a 510K compliant medical device,the time to market is rapid and accelerated, estimated to be under 3 months. The THERMOCEPS™ will save surgical operating room facilities millions of dollars of non-reimbursed hardware capitalization and maintenance costs each year. The market for thermally active surgical products which are now primarily RF based is expected to result in total sales in the year 2014 of over $1.9 Billion according to the most recent Medtech-Insight™ US Market Report, #A556. In 2013, an estimated 19.2 million surgeries utilizing electro-surgical products were performed in the U.S. alone. This number is expected to increase at an annual rate of 3.1 percent. The THERMOCEPS™ offers a new solution for surgical procedure providers an opportunity to recover lost hardware expenditures, as no expensive electro-surgical generator units or ESUs are required for surgery. The technology introduces a truly novel, breakthrough, game-changing and disruptive new surgical cautery solution. This new disposable/cordless/battery powered device features the newest advances in ceramic material sciences and cutting-edge new lithium polymer battery storage chemistries. The THERMOCEPS™ device replaces conventional, old RF electro-cautery methods with a new fast, INSTANT-ON, advanced thermal sealing system providing the surgeon an easy, time saving,one-step hemostasis solution. THERMOCEPS™ makes precise cauterization available and opens new markets including the Emergency Rooms,Paramedical Units, Emerging Markets w/o electricity &Military frontlines. The THERMOCEPS™ thermal cautery technology is protected by four important issued patents; nos. 6,235,027,6,533,778,8,128,623 and 8,409,199 issued as recently as April 2, 2013. Also filed is a 5th patent pending application, to remain fully amendable. The THERMOCEPS™ patents and additional trade secrets allow a company to either enter or compete more effectively for a larger share of the over $1.8billion in annual sales electrosurgical marketplace. As the THERMOCEPS™ can be distinctively battery operated, requiring no external electrical supply, the device is well suited for operations in emerging global markets and military locations. Also available for licensing and manufacturing are patents 6,312,392 and RE44,049 with a reissue date of March 5, 2013 is the advance, new bipolar disposable nerve locator and evaluator, the AXOSTIM1™. A new breakthrough nerve locator/finder featuring the only disposable, cordless-bipolar nerve finder. 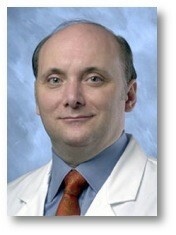 Dr. Herzon is the key inventor, research scientist and surgical design specialist for GARRETT technologies™. He served as a full-time faculty at the Northwestern University Medical School, Dept.of Otolaryngology-Head & Neck Surgery as an Assistant Professor and as an Attending Staff at Northwestern Memorial Hospital. While in Chicago, he was appointed Chief of Otolaryngology-Head & Neck Surgery at the Rehabilitation Institute of Chicago, as well as,serving as teaching faculty at the Chicago Lakeside Veterans Administration Hospital. Dr. Herzon is currently an Attending Physician at the leading hospital in the Western United States, Cedars-Sinai Medical Center, in Los Angeles, CA, where he currently specializes in the care of the Professional Voice as a Neurolaryngologist and is an active member of the new Cedars-Sinai Sinus Center of Excellence/COE. Dr. Herzon is a recipient of the Whitaker Foundation Grant for biomedical engineering and produced the first implantable laryngeal pacemaker to reanimate bi-lateral paralyzed vocal cords to replace tracheostomy. He is participating as a co-investigator on numerous National Institutes of Health Grants and published over 60 articles in refereed scientific medical journals. He serves as an editor for several major ENT medical journals. Dr. Herzon has a proven record as an inventor, product designer and device developer of finished medical products. GARRETT technologies™ was launched following the successful sale of his first patented disposable medical device,the AXOSTIM1™ to Bristol-MyersSquibb,Inc™ & Medtronic™. Dr. Herzon and his manufacturing partners captured over 10% of the U.S. market for disposable nerve Locators & Finders before the sale of this first device. 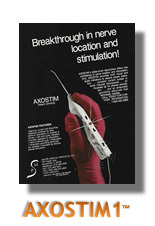 This success in the marketplace propelled the AXOSTIM1TM to be sold for nearly ten times the initial investment. Since its introduction almost 100 years ago, Dr. Harvey Cushing & W.T. Bovie, electro-surgery cautery utilizing exposed radio-frequency (RF) electrical current has been the principal method used by surgeons in the operating room to control bleeding during surgery. In RF systems a high-voltage AC electrical current is sent through the patient’s tissue via electrodes connected by cables and wires to a bulky, heavy 110 VAC Electro-Surgical Generator Unit. There are two types of RF electro-surgery cautery; mono-polar and bi-polar cauterization, both requiring use of the Electro-Surgical Generator Unit or ESU. Mono-polar RF electro-cautery is a complicated, time consuming multi-step process wherein the blood vessel to be cauterized or sealed is first dissected free of all attachments to provide space for a pair of hemostats to be applied. Then the vessel is mechanically cut and divided with a sharp scissors or scalpel. Next, each closed hemostats is lifted & its attached vessel is individually brought into contact with the tip of the mono-polar electrode needle tip and RF current is applied until each end of the blood vessel with the attached hemostat is cauterized and sealed. The sealing process is further prolonged, as each hemostat is then grasped by the surgeon and carefully unlocked, allowing all instrumentations to be removed from the operative field. All mono-polar electro-cautery requires a grounding pad to be placed on the back or leg of the patient with an adhesive at the beginning of surgery and removed at the end of the surgical case. This grounding pad location is at risk for well described severe skin electrical burns from aberrant and post-surgical contact allergic dermatitis complications. See diagram. The second type of Radio-Frequency cautery is termed bi-polar Electro-Cautery. Although the grounding pad is eliminated, the high voltage RF current is still exposed and must flow through the patient’s body using a disposable and complex wired forceps with an integrated triggering mechanism to initiate the cauterization. The present bi-polar systems all use a handheld alligator type forceps in which the vessel is clamped with the instruments tips and an exposed electrical current flows from on forceps tine to the other using the patient’s blood vessel tissue as the resistive element in the electrical circuit. The surgeon squeezes and locks the bi-polar RF surgical forceps using the thumb and finger eyelets and then engages the trigger mechanism to complete the electrical circuit to electrically heat the blood vessel until it is fully cauterized. Then, the operator must divide the coagulated area of the exposed vessel using either a scissors, scalpel or integrated finger controlled internal sliding knife. As the end tips of each forceps tines are exposed, the bare electrode current spreads lateral heating the vessel with thermal injury are inherent risks with all RF cautery. The maximum vessel size of 7mm is a continuing limitation and the efficacy of bipolar in sealing very small 1 mm vessels will forever be another limitation of the RF process. The basic electrical law of resistance and current flow will forever limit the success of bi-polar RF electro-cautery for the smaller or more compressed the tissue the lower the resistance and the lower the energy for thermal cautery is delivered. The various attempts to remedy the inherent weaknesses of bi-polar cautery results in higher costs for both the patients and facility providers and the inherent risks of complications continue. The Electro-Surgical Generator Unit or ESU required for all forms of RF electro-surgical cautery is typically a heavy, floor standing machine which is a high-cost capital investment purchased by the provider or facility. All ESU machines depreciation, require cyclical replacement, software updating, redundancy of units to assure safety and finally, to follow JCAHO mandate, re-calibration by highly trained biomedical engineers are required to certify power output and testing for electrical leakage. All RF electro-surgical devices use the patient’s blood vessels and tissues as the resistive site in an exposed, open electrical circuit to generate thermal heating to induce cauterization. Not infrequently, electrical flow of energy or current causes an actual electrical sparks or flames to occur. The exposed, non insulated RF current flow produces thermal dynamic heating by boiling of water molecules in the tissues to coagulate and denature collagen within the vessel walls. Undesired effects of RF electro-cautery include muscle contraction twitch and aberrant currents with collateral injury of adjacent nerves due to preferential electrical conduction properties of neuronal fibers. 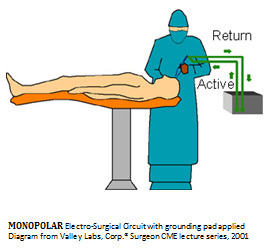 In mono-polar RF electro-cautery, electricity flows from the active electrode placed in contact with vessel travels through the patient’s body to finally exit via the described, additional-cost grounding pad connected to the Electro-Surgical Generator Unit. Severe burns may occur at the grounding pad or any site where an abnormal current flows through a high resistance location in the surgical patient when using mono-polar RF electro-cautery. In the other RF system termed,bi-polar, an open electrical flow occurs between the tines of an expensive, specialized large surgical clamp or forceps instrument. Electrical current flows through the patient’s tissue once again to induce thermal heating coagulating protein fibers within the blood vessel. 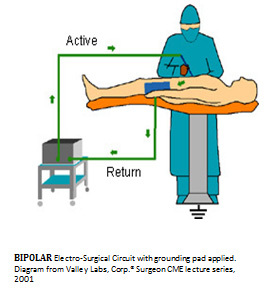 Complete isolation and control of the exposed open flow of electrical energy is impossible as in both mono-polar and bi-polar cautery exposes the surgical patient to the unnecessary risks of uneven tissue heating, aberrant current flows and remote ground-site injury. All RF is known to have caused destruction and mal-function of electronic implants, such as, cardiac pacemakers, cochlear implants, neural stimulators and biomedical re-animation implants. Another known risk of RF is related to anesthesia ventilation, asoxygen is always contained in general anesthesia ventilation gases. Ignition of these gases is a continuing risk, as open, non-insulated sparks of all RF can promote combustion and cause airway fires. The ceramic Silicon Nitride substrate manufacturer, Kyocera™ has engineered new ceramic heaters measuring only 2 x 4 mm which are ideal for use in laparoscopic and endoscopic vessel sealing applications. Miniature vessels measuring, under 1 mm in diameter have been successfully sealed with high bursting seals, as well as large vessels over the RF 7mm barrier with investigational, arterial large vessel diameters in excess of 11 mm. The larger vessels have been easily sealed with 300mm Hg burst security in only 7 to 9 seconds, well within and in less time required in RF systems. Special trade secret topologies of the non-stick surfaces of the ceramic sealing surface allow high precision sealing and highly controlled vessel seals in a single step. The THERMOCEP’s™ grasps, compressws and seals in a single step. As the sealing temperature is independent of tissue thickness and tissue resistance, THERMOCEP’s™ devices can be designed fit your needs of each surgical subspecialty.